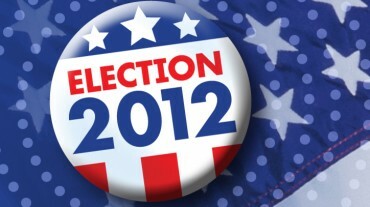 Tuesday, November 6, 2012 ratings: Sports and specials: Election coverage on NBC, ABC, CBS, and FOX. Reruns: Arrow and Emily Owens, MD. On NBC, NBC News Special: 2012 Election Night won the night in both the 18-49 demographic and total viewership with a 4.6 rating and 12.56 million. On ABC, ABC News’ Your Voice, Your Vote: Election Night Coverage drew a 3.8 rating with 11.15 million viewers. On CBS, Campaign 2012: CBS News Coverage of Election Night garnered a 2.7 rating with 8.42 million. On FOX, You Decide 2012 attracted a 2.0 rating with 4.95 million viewers. And on The CW, reruns performed pretty well by CW standards. Arrow drew a 0.6 rating with 1.81 million. Emily Owens, MD attracted a 0.4 rating with 1.28 million. This was the latter’s best performance since its premiere — and it was a rerun! I suspect this had more to do with the audience trying to avoid election coverage than people actually wanting to watch the show. What do you think? Did you watch election coverage on TV last night? If so, what channel? Compared to previous election years, this years election coverage seemed annoyingly boring. I guess I can only take political ‘experts’ so much or perhaps the campaign season went too long. I turned off the tube and spent the time more wisely.